Renowned amid one of the superior names of the market, we are indulged in providing a comprehensive range of I-Phone Application Development Services to our clients. Accessible with us at most reasonable rates, these offered services are as per the market set quality standards and principles. Moreover, these application development services are rendered by one of the talented and qualified personnel present in our company. The I-phone app market is incredibly lucrative, but in order to be successful, you have to have the right app, the right functionality, the right roll out and the right support. That's exactly what you'll find with Primetech Software, We have been doing I phone Application development since 2008, and during that time, we've launched some of the most successful iPhone apps ever to hit the App. Store. We have also worked with some of the biggest names in the industry, as well as helping to take unknown and build their success. When it comes to Iphone App development, Primetech is your Premier partner. We have a highly skilled team of iphone application programmers for iphone custom application development and iphone application design with good expertise on different iphone SDK versions. 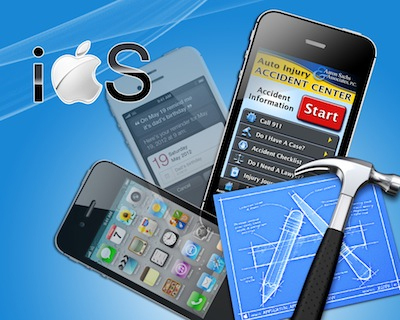 Our professionals have successfully developed and published numerous iphone applications. Our experience has enabled us in refining the usage of the iphone applications developed and with our tailored iphone application development, we aspire to augment the mobile experience for all iphone users to next level. With carefully designed and developed solutions for mobiles, we focus work in expanding client is work sphere in these field through ipad and Android applications. .